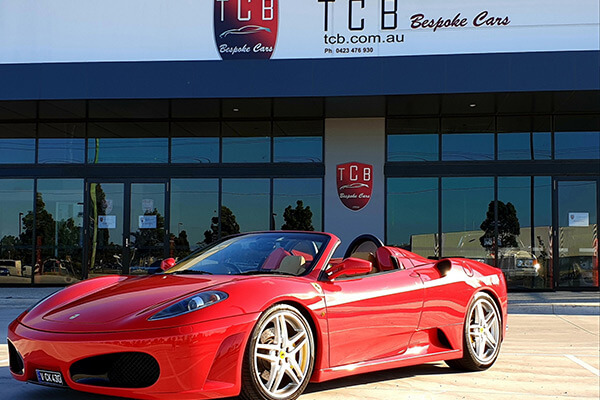 TCB Bespoke Cars have been customising and selling quality European and prestige used cars to our clients since 1986. 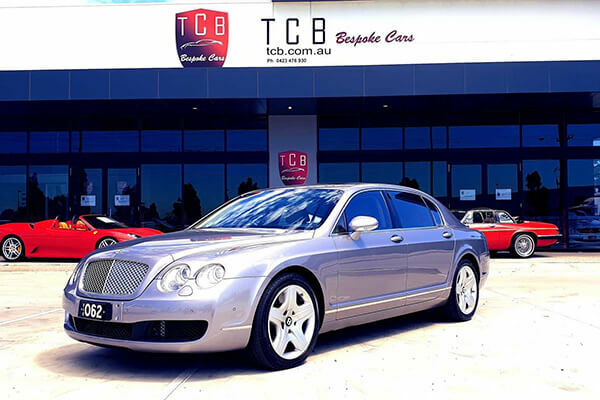 Our specialty is hand-picked quality used cars with expert detailing and customisations. 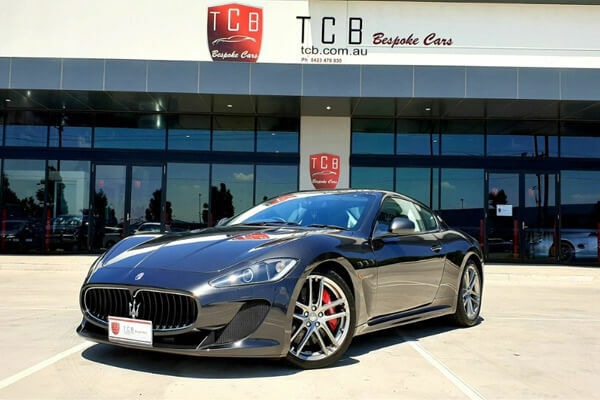 Our work is our passion - when you drive away in a TCB Bespoke car, you are enjoying a luxurious drive and a unique experience. We are proud to offer one of the rarest modern-day Ferrari's in existence today. We call it the "UNICORN" OF FERRARI'S because they are never sighted until now! AN F430 6 SPEED GATED MANUAL SPIDER you may never see another one again, only a handfull of manual F430 6 speed Gated MANUAL - AUSTRALIAN DELIVERED SPIDERS are in existence. THIS MAY WELL BE THE NEXT MILLION DOLLAR COLLECTABLE IN THE VERY NEAR FUTURE. The condition can only be described as immaculate! AUSTRALIAN DELIVERED with books. 1. Finance through all major lenders. 2. Extensions of manufacturing warranties on most vehicles. 3. Interstate transport can be arranged promptly if required. 4. The option to Trade In your current vehicle. 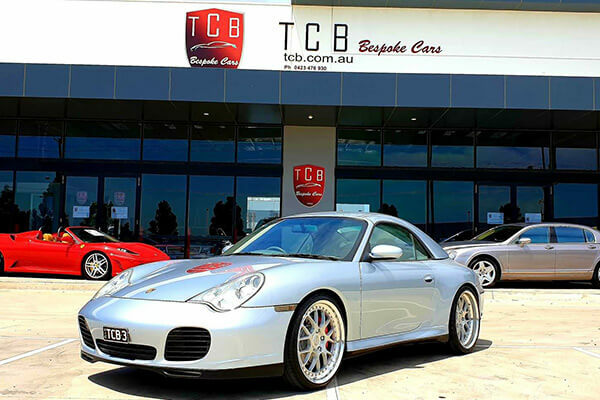 TCB Bespoke Cars stands by its moto, we sell amazing cars that stand out from the rest. "AS INDIVIDUAL AS YOU ARE"
" Finance through all major lenders.
" Extensions of manufacturing warranties on most vehicles.
" Interstate transport can be arranged promptly if required.
" The option to Trade In your current vehicle. We are proud to introduce you to an amazing masterpiece. Custom ordered with AMG style Body and brought into Australia as a new car in 1984. Truly a world class car vehicle acquired from a private collection. Incomparable in condition and appearance, only travelled 90000klms with complete history. Made for unleaded fuel. A fantastic investment that can be enjoyed cruising daily if so desired. free valuation of your vehicle.